While stationed with the U.S. Army School of the Americas in the Panama Canal Zone during the 1970s, entomology expedition leader Albert Thurman would listen to the chorus of frogs in the streams at night. The tropics of Central and South America were once lush with at least 110 species of colorful harlequin frogs, but nearly two-thirds of the known populations were wiped out by a deadly fungal disorder called chytridiomycosis, also known as chytid, in the '80s and '90s. The Talamancan harlequin frog, Atelopus varius, was thought to have gone extinct along with other species until a tiny population was rediscovered in Costa Rica when a local child walked into a biology field station with one in his hand. That was more than five years ago. Even though the species was found, it is still on the road to recovery. Conservation and wildlife biologist Jan Schipper, the field conservation research director at the Arizona Center for Nature Conservation/Phoenix Zoo and adjunct faculty in the School of Life Sciences at Arizona State University, led an online PitchFunder campaign to save the Atelopus varius last year. The Atelopus varius is a flagship species for drinkable water because it relies heavily on an ecosystem with clean water, natural flow patterns and predictable seasons. However, contaminants are increasing in the area from “poison” fishing and people living upstream, Schipper said. Thurman, a research associate with the Frank F. Hasbrouck Insect Collection at ASU, was one of several donors who contributed to the School of Life Sciences’ PitchFunder campaign. Since 2001, he has been taking small groups of entomologists and ornithologists on trips to Panama. Over the last 10 to 15 years, he has noticed the Talamancan harlequin frogs have been absent from the streams where they were once plentiful. He said that’s why he wanted to help the researchers in their efforts to save the species. Back in the 1970s, Thurman also saw Atelopus zeteki, the Panamanian golden frog, in El Valle de Antón, Panama. Local children would sell the frogs at the Sunday market in paper bags for 50 to 75 cents, he said. The frogs weren’t protected at the time. The unabated collection and selling of these amphibians drastically reduced the population before the chytrid fungal disorder hit, wiping out the populations of these frogs. Schipper and his team of local and international researchers and students used the funds from the PitchFunder campaign to implement a biosecurity protocol for the small population of this critically endangered frog in the Talamanca Mountains of Costa Rica. They facilitated a decontamination process to ensure no other strains of the fungus could contaminate the frogs’ habitat. The team also installed barrier fences to enclose breeding frogs and protect them from invasive trout predation. The PitchFunder campaign funds also helped support the team’s initiative to further research on this amphibian. They increased testing for the presence of fungus on the frogs and the degree of infection. The team also gathered a significant amount of data on individual frogs. The frogs began their breeding season in October and November of last year. Schipper said the crew found tadpoles, which means the harlequin frogs are still breeding and the measures to avoid animal extinction played a significant role. With the news of tadpoles, Schipper and his team are creating an entire recovery strategy for the species. During the next 12 months, a massive transition will occur to ensure a breeding population into the future, he said. They’ll build a new field station with a “head-start” facility to bring eggs in from the wild to be hatched in captivity and raised to tadpoles, increasing survivorship to nearly 100 percent. Then, they’ll relocate the frogs to a better habitat in streams that are inaccessible to them because of the range. The team also plans to hire one full-time biologist to monitor the population and maintain the equipment. The Arizona Center for Nature Conservation/Phoenix Zoo pledged $40,000 for the 2017-18 fiscal year to help build a small harlequin frog rescue and breeding center on site. The center will work to increase the number of frogs and have an infection-free population from the fungal disorder. Schipper’s team also started a local, environmental education program with startup funds from the Rufford Foundation. The program will partner with the Costa Rican water and aqueduct ministry to educate locals about water quality and how animals and humans need access to clean water. Help Sparky and researchers in the School of Life Sciences save the Talamancan harlequin frog from going extinct. Dodge invasive trout predation and contaminated fungal water along the way. Make sure to capture the frogs before opening the door to a safe habitat for the critically endangered amphibian. 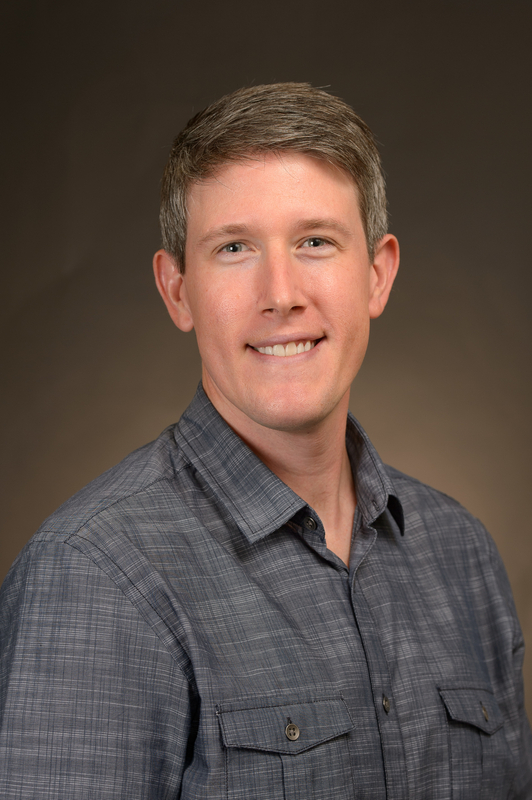 The National Institute on Drug Abuse and Office of Behavioral and Social Sciences Research has awarded Kit Elam, an assistant professor at Arizona State University, the Mentored Research Scientist Development Award. A benefit of winning the award is the ability to train with a number of mentors who will help Elam gain expertise in a number of realms. During the first two to three years of the grant, Elam will be supported to build advanced skills and tools in bioinformatics. Elam has been interested in studying child development since before he went into graduate school. He began developing research skills by looking at genetic influences on behaviors in twins, but his post-doctoral research led him to be more interested in how the family environment contributes to behavioral outcomes. Elam’s ultimate goal for the project is to better the lives of children and their families through his research. His findings will be regularly published through academic manuscripts throughout the course of the project. He will also put together conference presentations based on his findings. At the end of his grant, Elam hopes to write a R01 Research Grant to the National Institute on Drug Abuse to continue his research. Elam is eager to take on the project. His new and innovative approach to researching substance use in adolescents is pivotal to the development of family studies.